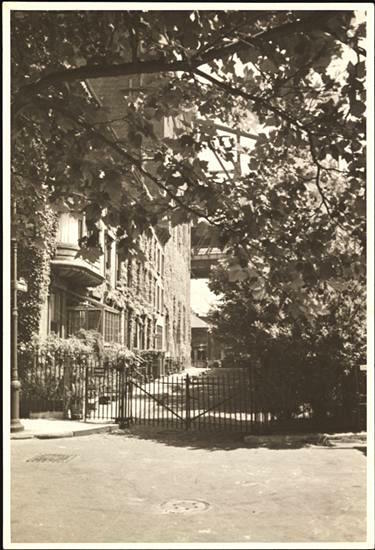 Imagine living on your own gated street on the far East Side of Manhattan—with a row of 19th century townhouses on one side and a tree-shaded lawn sloping down to the East River on the other. 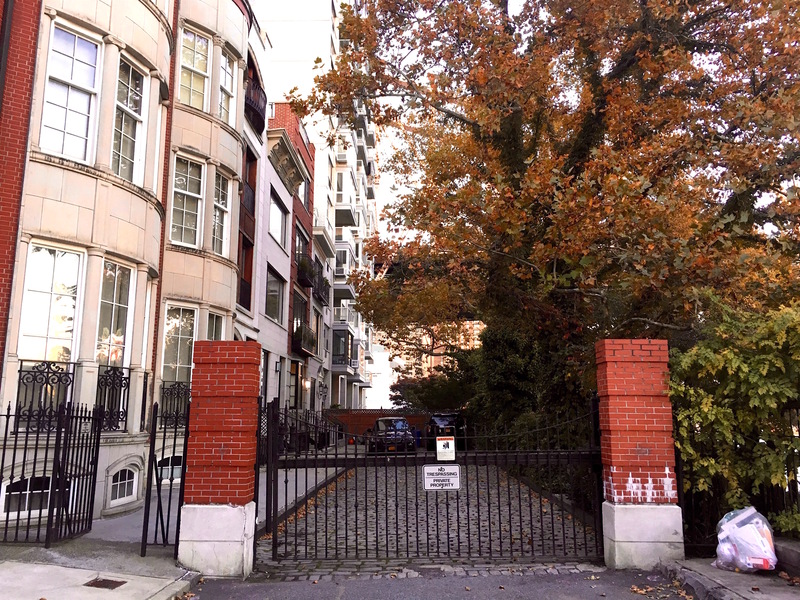 Such a place exists east of Sutton Place at the end of 58th Street: a cobblestone cul-de-sac called Riverview Terrace. Most New Yorkers don’t know it’s there, and that’s probably the way the residents prefer it. 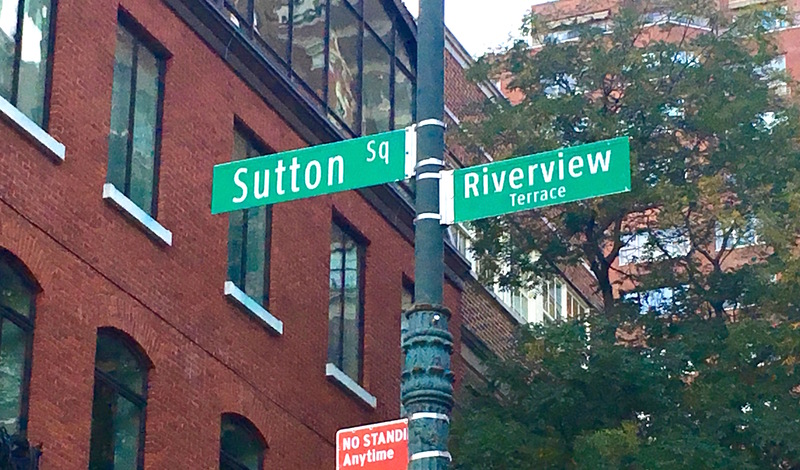 “Just beyond Sutton Square is one of the neighborhood’s finest, and least‐known, residential enclaves, Riverview Terrace, a group of five ivy-covered brownstones fronting directly on the river,” wrote architecture critic Paul Goldberger in 1976 in the New York Times. Riverview Terrace was originally a less showy street, settled in the 1870s “by ‘nice people’ in modest circumstances, who were erratic enough to prefer a view of the river to a convenient horse car,” wrote the Times in 1921. 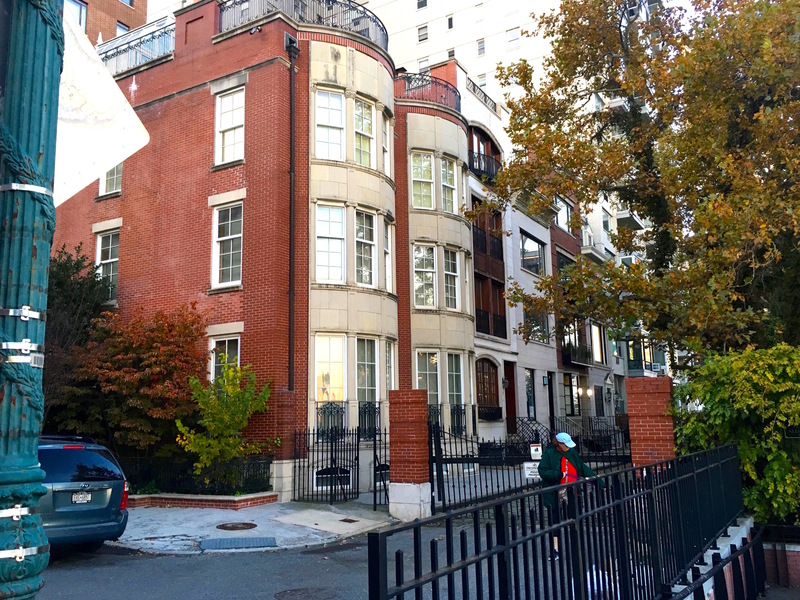 By the 1920s, with Sutton Place (formerly known by the more pedestrian Avenue A) becoming a bastion of wealth, the houses on Riverview Terrace underwent an upgrade. The photo on the left was taken in 1935, with the street looking similar to the way it appears today. 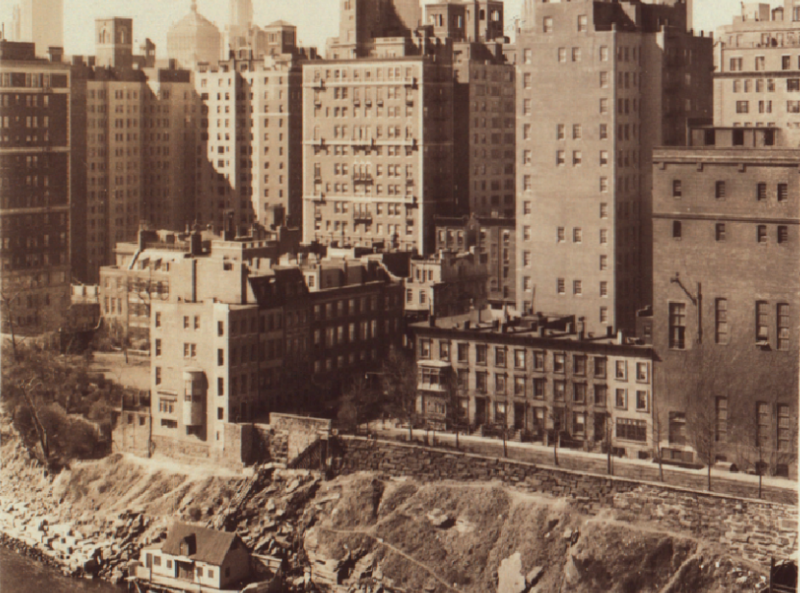 The next photo on the right is from the 1930s, looking at Riverview from the East River. Since then, these houses have been remodeled and renovated according to the imaginations of their wealthy owners. Occasionally they come up for sale. Take a peek inside one on the market for $8 million right now.